The Unguidebook Sydney: A Travel Book Unlike Others — . Without question the iconic Opera House is one of the best places to start when visiting this friendly, cosmopolitan city. But, as can see from this special two-minute video we created that there’s much more to Sydney than that. 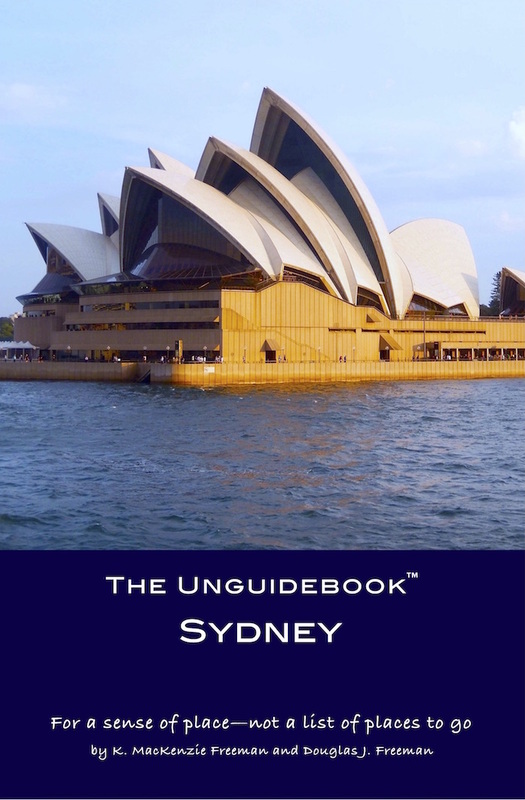 Before you book your ticket to Australia, discover what this city’s really like with our book, The Unguidebook Sydney. We’re not guidebook writers, but rather storytellers who strive to give you sense of place rather than a list of places to go. This book’s the second volume in our travel book series that features the theme A Picture Is Worth 1,000 Characters™. We’ve put a unique stamp on our personal reflections by giving a modern twist to the well-known phrase, “A picture is worth a thousand words.” Each of the 47 enlightening and entertaining impressions features a captivating original photograph and a story that’s exactly 1,000 characters long. Whether you plan to visit this corner of the world or just experience it vicariously, The Unguidebook Sydney will give you a real sense of place in this extraordinary destination. It’s available through these on-line retailers as an e-book with color photographs for $3.99 or in paperback with black and white photos for $7.50.